while list item without attachment will hide the Attachments row. 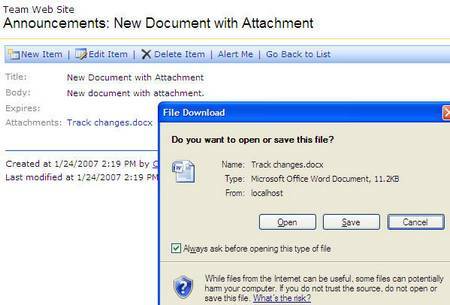 Save the modification, and if you click on list item with attachment, it will open the attachment automatically. Thank you for your help. 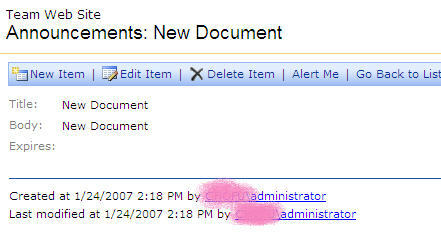 Do you know how you can create a link in the listview for an attachment? For example, in your first screenshot, there are two lists, one with an attachment and one without. The one with an attachment only shows a picture of a paperclip but now way to open the attachment. Is there a way to display the attachment name and link in the list view? Hi there, I was wondering if I would be able to get the title of the attachment to show up in a view, so I can export the metadata to a spreadsheet. Once this is done, I want to be able to associate the metadata to the document that I have already moved over from a list to a library… So I can basically sort a-z on both lists and input the metadata.